Now being from a Website Designing Company myself, you would expect that I will say mine is the best. But I will not say that. In fact I will explain you what makes a website designing company company a better choice for you. Being an insider and being in contact with many other such companies I have come to know quite well how these companies work, what problems they face and what are the signs that you can find in a company that tell you that it is the right company for you. Well the true reality of this industry is that Developing & Maintaining Websites is a serious deal and you don’t find people expert in it easily. I know many companies who often bite more than they can chew and then end up in not being able to complete the project for eternity. Building basic static websites is one thing, but developing a completely customized website with user accounts, data to be stored in database, complex calculations, etc etc, is a completely different ball game. Companies might take advance from you and then never be able to complete the project. In fact there is a client of mine whom when I met for the first time, he told me that he had already given the project to another company 6-months ago who were to develop the project in Java and have not delivered the project yet. When I asked him to show me how much of the project they have competed, he had nothing to show to me. Then I asked him how much advance did you pay them. And of course he did not answer this question. I understood that they had taken more advance from him then what I had quoted for the complete project. Let me tell you another story which is even more horrific one. One of my friends who also runs a Website Designing Company called me to meet one of his clients who was in trouble. I went to meet the client and was shocked by what he told me. One of the IT companies in Delhi (I rather not share the name of the company), tricked him for WHOOPING RS.40 lacs. Yup a a 40 with SIX Zeros, holy smokes. This guy wanted a website for selling Life Insurance online. I saw the website. It was made in Scala, a less used programming language that I would have never suggested for this kind of a project. They website was nicely, showed comparison of various Life Insurance Policies, but did not let the user buy any policy. He told me that just to implement that one function the developer was asking for partnership in the clients company otherwise this function will not be developed. The poor guy had actually taken loans for getting the project done. The last time I heard from him, he said that he has filed a case against that IT company. Though I have many other examples of fraud I have seen in this industry, but I guess these two will be enough for now. You get the idea, that THERE IS FRAUD IN THIS INDUSTRY. And if you have not done a proper agreement with your developer which is never done in small projects, you will never be able to sue your developer no matter how much he looted you. So you must be wondering that “What is Techtimidation?”. Well the term has not been coined by me. It has been amusingly coined by Jason McDonald in his book SEO Fitness Workbook 2016. According to him it means “the use of jargon by techies to intimidate mere mortals”. It means to scare the non-technical people by speaking highly technical terms, making them believe that they can never understand these technologies. Let me tell you an insider secret. Of course none of you can become a Software Coding expert or a Graphic Designer any sooner. The truth is that you can definitely have an overall understanding of how these technologies work. Seriously YOU CAN. In fact you should try to do search your self. Just find articles (like this one) regarding your type of projects. Speak to your friends who have done a post-graduation in a Compuer Science course or any friend who is working as a developer in an IT company. Or anyone else you can find who is an insider. In fact if you are planning to make money through the website, then it would be a suicide to start an online business and not know how it actually works. Even if your website is not an eCommerce website, you should know how its technology works and what all your developer will be doing to completely develop it. This way you will know exactly what are you paying him for. You can also directly ask me your technical queries HERE. I would love to clear your doubts. You don’t have to submit any phone number or email address, just submit the question and I will answer it by the next day. You will find my answer to your question listed HERE. Most of the companies either have a non-technical owner or a non-technical salesman speaking to you. They would just know some of the technical terms that they can use to make you feel that they are more technical than you. But don’t be fooled. Here is what you can do. All you need to be is just be straight forward. Just ask them politely that they you would like to speak to any of their technical experts. If they really are the expert themselves and you were already speaking to the right person, then their response will be “Ask me. I am a technical expert.” If they are not the technical person they would call one immediately to answer your technical queries. Either way you will be speaking to the right person and then can ask all your technical queries without a the feeling that the other person is just making up the answers. Your best bet will be a company in which the owner himself is technically sound. This is because when you give them the project you are not doing business with an employee but the owner of the business. The technically sound owner will know how difficult your project is, what should be its real price, and weather his employees have the right expertise to even deliver the project. A non-technical owner will on the the other hand try to get the deal at any cost, then then force his employees to do what they are not capable of delivering. The more companies you contact the more clear you are about the process of web development. They all might have their own separate set of lies. But they will have a common set of truths. This means that any point that you hear from more companies will definitely be true. This way you will be able to know the real price of the project in the market. Some might price it higher bu not all of them. Some might price it too low. Beware such companies that cannot even calculate the right price of a project might not even be able to deliver it. There is a great possibility that they might even ask for more money later on even before the project is completed. Speaking to more technical people will also help you in getting to know more insights of this technical world. I will prefer to go for a company that shares more technical insights with you and justifies the cost of development that it is asking for. I have friend who often says that there is only one thing that matters in life, CONTACTS. How wrong he is? What matters is the ability to make NEW contacts. Software development is a serious business. And business is done practically not emotionally. No serious business man or business woman is going to offer you a considerable amount of discount just because of a reference. At least I would not. Look for more companies. Make more contact. Stop depending upon the older ones. Rid yourself of all the formalities of relationships and get ready to do serious business. Don’t be an like my friend that I mentioned above. If your project is bi enough to be priced at anywhere above one lakh Indian Rupees. Then it will be wise to do a legal agreement with your company. A genuine company will always agree to sign an agreement. But remember that agreement is always two sided. If your developer completes the website on time then according to the agreement you are also liable to pay to your developer his dues on time. So, keep your funds ready by the time duration of project that has been mentioned in the agreement. A very important part of any Software Development Agreement is an Anexure called SRS. SRS means “Software Requirement Specification”. It will be in fact the most important part of the Legal Agreement from your point of view. As it will contain all the requirements that you want in the project. If any of those requirements are not fulfilled then you are not liable to pay the developer his dues. On the other hand if all those requirements are fulfilled then you are definitely liable to pay the developers dues on time. There is also something called Milestones in a Software Development Agreement. There can be a number of milestones in the agreement. The bigger the project is more are the number of milestones. For example a project priced in between 1 to 2 lacs can have two to three milestones. Consider milestones as intermediate stages in the process of development of the software. Every milestone is related to a set of functionalities to be implemented in the software. When those set of functionalities have been implemented by the developer. You may have to pay the developer an installment (of the total price) decided in the agreement. A complete schedule of these milestones must be specifically mentioned in the agreement. This ensures that parts of your project will be completed on time, and not rushed at the end of the project duration agreed. There are basically two reasons people get a website. i. Just to have an online presence as its kind of a status symbol these days. ii. To use your website bring you more business by bringing in more leads, sales, inquiries, etc etc. If your reason is the first one. Then you can completely forget this point number 7. But if your reason is the second one then you better take this point number 7 seriously. To know more about SEO just click HERE or watch THIS video. To know more about Digital Marketing just click HERE or watch THISvideo. Any good SEO Analyst or Digital Marketing Expert will tell you that there are parts of these campaigns that require changes in the code of your website. Like inserting meta data and microdata into the website. Other than that there is a lots of tracking code for campaigns and visitors analysis that needs to be added in the code of the website. And this is best done by a Website Developer than just any other guy who has done some one-month course in SEO or Digital Marketing. Apart from that you get an advantage of dealing with a single company for your entire project. Dealing with two different companies can lead to a lots of miss-coordination, blame game and avoidable hectic. So, if possible go for a company that does both Website Development & its marketing. 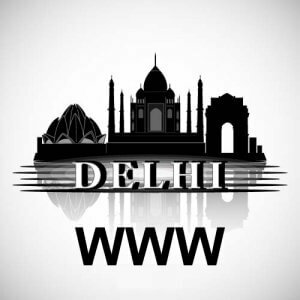 So, here were my 7 advice to follow while looking for the best Website Designing Company in Delhi. I tried my best to be unbiased in this article. I will try to keep this article updated as soon as I realize more information worth sharing.